Imagine you’re at a bar. You’re dressed to the nines, and you’ve approached that attractive person. You’re past invisible, and you’re breaking through insignificant. You say, “if we were to go out, here’s what I think I’d like to do on our first date. I’ll have a car pick you up and take you to meet me at one of Los Angeles’ most sought-after restaurants. After that, we’ll head to Griffith Park where I’ve arranged for a private tour of the Observatory. Not only did you become interesting, but you shifted swiftly to intriguing. As a top rated persuasion keynote speaker John Livesay has helped thousands of people learn the art of persuasion to improve How people see you even before you speak. When you have a great introduction as an expert, people are persuaded to buy from you. Be a passionate, purposeful storyteller. This isn’t just about sharing anecdotes that you love to tell, but also stories that will be meaningful to your buyer. Drama, suspense or humor are key ingredients – and the plot should leave your listeners thinking, “that’s a person (or company) I could see myself working with.” Remember the story of how I helped Cole Smith get funded? Well, I use this experience when potential clients call me and ask what I do. I tell the Cole Smith story. I paint the picture of what his life was like before he worked with me and how I helped him get funding offers for his start-up. Then I tell them what his life is like now after funding. Then I ask potential clients, “Is this the type of journey you’d like to go on?” This is a great way to ask a closing question. They see themselves in the story and want my help as their mentor or Sherpa. What does this look like when you are trying to an intrigue a billion-dollar firm? After delivering my keynote speech to several Gensler offices (the architectural firm mentioned in previous chapters) and working with them on several multi-million-dollar new business pitches, I identified another opportunity for them. I knew that they wanted to expand to new areas beyond law firms and retail to include sports arenas and healthcare. I also knew they didn’t have a way to develop relationships with key decision makers at these types of companies prior to them posting new project requests for proposals. So, when Gensler would pitch, there was no prior relationship or rapport already there for familiarity with the firm they were pitching. They would be going in as a completely unknown entity. As a way to overcome this challenge, I pitched the idea of producing a Gensler podcast where we would invite top decision makers across multiple industries as guests on the show. Interview topics could reveal business insights and challenges months before requests for proposals were issued. Gensler was immediately intrigued. Today, the Gensler podcast is live, with a unique brand proposition that was first to market. I was able to build a unique category for myself that no one else fit into and win more business from this client. ”It is also an example of getting what Robert Cialdini told me when he was a guest on my podcast as a “warm introduction” or “;pre-suasion.” When going into a pitch, if the person you are presenting to has a history with you or know of you or your company on some level, you start the meeting slightly elevated above someone who is coming in cold. In the case of the podcast, it allowed Gensler’s brand to be associated with innovation and their team members to interact with prospective clients prior to pitches. Those “warm introductions” produced a 16% increase in conversion from callers to customers. This tactic can be used for introducing business colleagues, a presenter or even friends. I want you to meet my dear friend John, we’ve known each other for ten years. We met partnering on a new business pitch, and since then have enjoyed amazing dinners, been on some crazy travel adventures together and our dogs love to play together on Sundays.” In that introduction, you just learned that I love good food, travel and have dogs. Now it’s much easier to create and continue dialogue when a first-time meeting starts off with a warm introduction like that, right? Whenever you are presenting to get hired there is competition and you have to find a way to stand out. Perkins+Will is an architecture firm in Washington, D.C. They designed Barack and Michelle Obama’s offices after President Obama left the White House. They hired me to help improve their pitches because they were coming in second too many times when pitching against other firms for new business. welcome for each team member. Once they made my recommended changes to becoming storytellers, they went on to win 3 new business presentations in a row and were happy they hired me as their persuasion keynote speaker. client needs, who they are, or if you have connections in common, you are going in cold. You will also just be giving a presentation not customized to them, and won’t have much confidence that you’re going to get a yes. You will likely stumble through any questions asked, or they will ask something you can’t answer, and you’re dead in the water because you lack the confidence to handle that kind of a question. I work with clients on their preparation which builds their confidence going into the pitch. In this work, I also teach them the importance of stacking their moments of certainty. For example, write down two or three times when you got a “yes.” Maybe it was to a business proposal, or getting a pitch meeting set, asking someone out on a date, being hired at a new company. Those are the things you can put in your head before you pick up the phone, send an email or go make a live presentation. Because when you stack these moments of certainty up, and you stack the feelings that go with it, your confidence and your ability to persuade someone to say yes goes up. If your sale team is stuck presenting the same pitch over and over and it is not getting you the sale, then you need a persuasion keynote speaker like John. 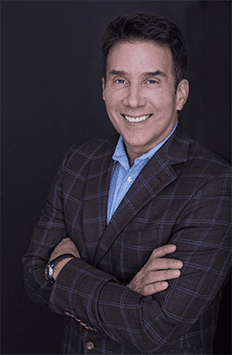 John Livesay is a top rated persuasion keynote speaker that shows your sales team how to stop pushing their message. When that happens your sales team will start pulling people in with stories that are irresistible.